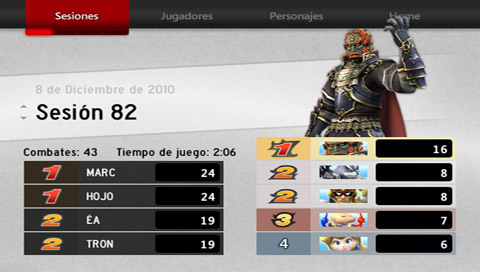 BrawlStats is a Wii application that will have to be run after a Super Smash Bros. Brawl session. It will store automatically on your SD your results and then you will be able to navigate freely through a clean GUI that will show you a lot of information that Brawl doesn't store (or doesn't show). It also gives different trophies to players that achieve certain records. It can be like a database of your Brawl matches.